Cooking With The Good Stuff-FREE CD! Readers have spoken and we have listened! 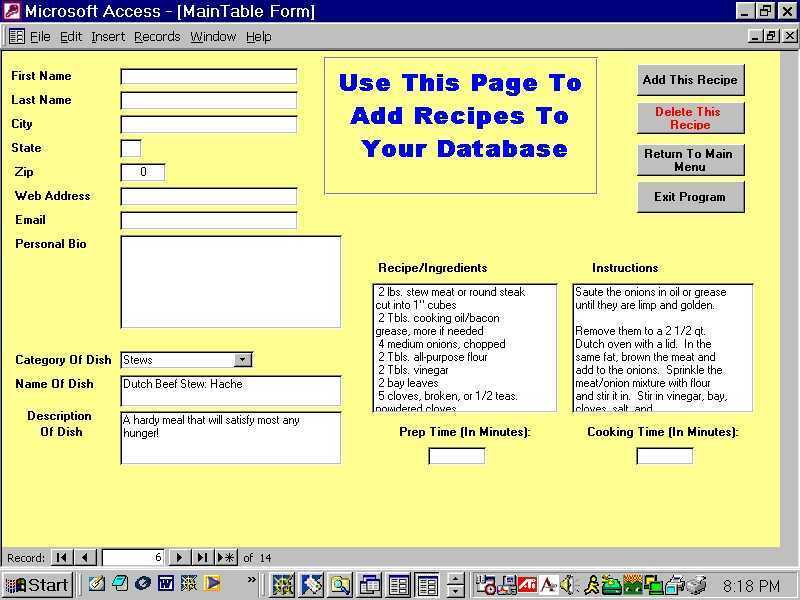 Here is your FREE Personal Recipe Database Program on CD! By popular demand, you chefs, cooks, and recipe collectors have been wanting a place to keep and store your recipes and creations of food. You wanted an easy way to record and manage any collected recipe with ingredients and instructions on making the dish. 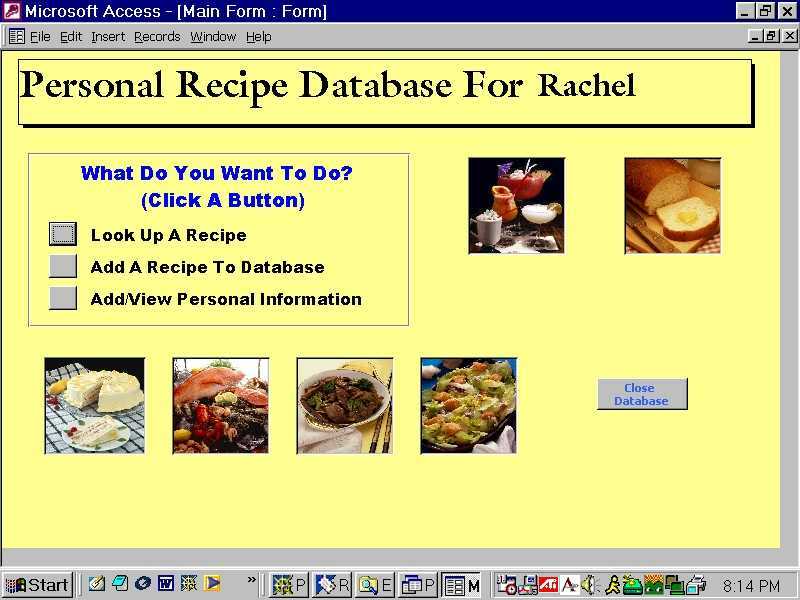 It's called the Personal Recipe Database. This is a full version software program (not shareware). It's everything a recipe collector need! In fact, we've started you off by including more than 250 recipes for breads, meats, drinks and many other dishes! We know you'll just love it! Wanda won a stunning new Food Processor with this recipe! 1 (10 ounce) can tomatoes with green chili peppers, "mild" I use Rotel. For spicier taste, use "original". Saute vegetables in butter or bacon grease over medium heat until onions are transparent. Add corn, tomatoes (including liquid), salt and sugar, stir well, cover and simmer for 15 - 20 minutes (about 15 minutes longer for fresh corn), stirring occasionally. If mixture seems too thick, thin slightly with chicken broth, milk or water. Taste and correct seasoning if needed. *Note: For a delicious main dish, add one pound of raw shrimp, peeled and de-veined, or one pound crawfish tails during last fifteen minutes of cooking. Additional seasoning (salt, pepper) may be necessary, if desired. Serve over steamed rice. With a green salad and hot French bread, it is a delicious meal! This The Recipe Book site is owned by Collecting Recipes.